Aquaman, the DCEU’s wettest superhero, has made a splash at China’s box office with a record-breaking $25 million Friday. 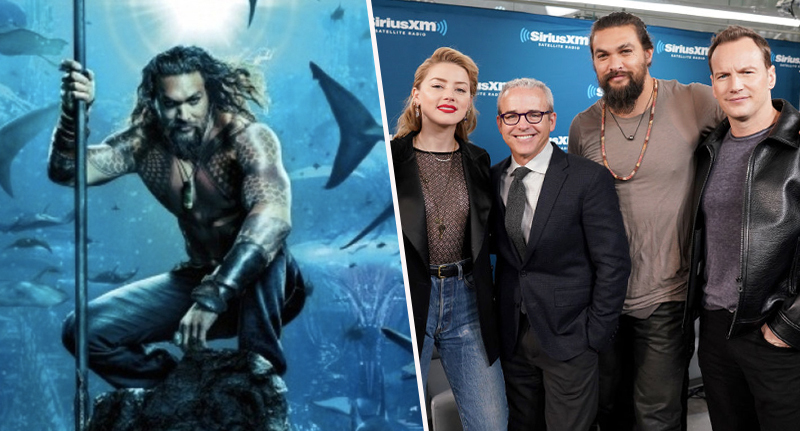 That’s good news for the studio behind the film, Warner Bros., who were concerned Aquaman may be a bit of a damp squib after some ominous ‘box-office predictions’, Forbes reports. If, when the embargo breaks next week, the reviews are good (and early buzz is particularly positive) Warners can probably expect fans to flood local theatres when it releases here in the West. Directed by The Conjuring’s James Wan, Aquaman stars Jason Momoa as the titular defender of the deep, Aquaman – also known as Arthur Curry, a half-Atlantean/half-human hybrid who uses his incredible powers to defend the world’s oceans. Unfortunately for Arthur tensions between the surface world and Atlantis are at an all-time high, and Aquaman’s half-brother, Orm (Patrick Wilson), believes war is the only answer. Desperate to stop Orm’s dreadful plan Arthur, and his on again off again girlfriend Mera (Amber Heard), must travel the world to find a magical trident with the power to unite the Seven Seas. Aquaman will mark the third live-action appearance of Momoa’s incarnation of the character, following appearances in Batman v Superman: Dawn of Justice and Justice League, but marks the first time he’s taken the seahorse by the reins and lead a film himself. When the news was announced that Warners were working on an Aquaman movie there were more than a few snickers, after all the character’s best known as being the worst member of the Super Friends. In the Super Friends, Aquaman’s primary power was owning a jet ski and his role as the ‘loser’ on the team cemented him in pop culture as a joke character, a perception that’s not been helped by shows like Family Guy also ripping into him. Thankfully for Aquaman this mentality may have benefited the film in the long run by securing it one of the best blockbuster directors currently working in Hollywood, James Wan. In an interview with Total Film Wan confessed that was the perception of Aquaman as an underdog that persuaded him to to direct the film. Let’s face it, [Aquaman] is the superhero that everyone makes fun of…There was a bit of reservation at the start about whether or not I should pursue this character. But the more I thought about it, I always being the underdog. Coming from the horror genre, you’re always the underdog. So I got used to that mentality…I love [horror]. It’s definitely the best way to break into the industry. I just became synonymous with it, so that people had a harder time seeing me for anything else outside of horror. I wanted to prove that I’m not just a horror filmmaker, I’m a filmmaker period. One question a lot of people are wondering is where Aquaman fits within the context of the wider DC shared cinematic universe. Over the last few months the DCEU has been beset by problems, most notably the departure of Henry Cavill and Ben Affleck, leaving the future of the whole endeavour in question. Might Aquaman answer these concerns? Well if it does as well in the West as it has in China, maybe. Aquaman splashes into theatres on December 14.